KFC Took 3rd place (52 competitors in division). 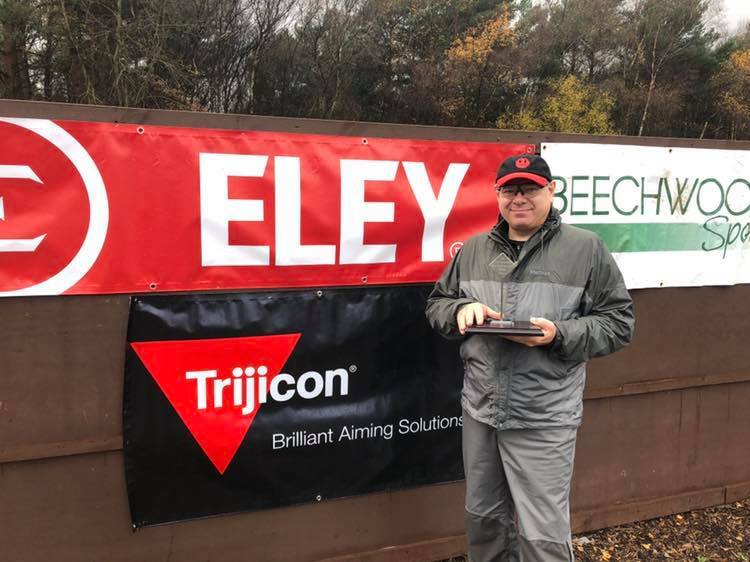 Christian Barr stated "Even in the rain and hail the Trijicon 1-4 Accupoint fibre optic reticule glowed giving me the confidence to hit the target"
Many Congratulations to John Chambers for winning the inaugural Steel Plate Challenge series, this will now run every year from now on and the trophy will be passed to the new winner on the last round. Kentucky Firearms Club, say next year they will have another stage added and hopefully some different targets to make it a bit more challenging.